From the headline you understand that this post will be about trench coat. I saw this one at Zara a couple weeks ago and just fell in love. I have been hunting for a perfect trench coat for a while now. I think it's a statement piece of clothing and never goes out of style. I didn't buy it at first, but after thinking about it constantly and putting outfits in my mind, I knew I should buy it. So I did. This one has a water resistant material, perfect length and looks great with dresses/skirts and pants. 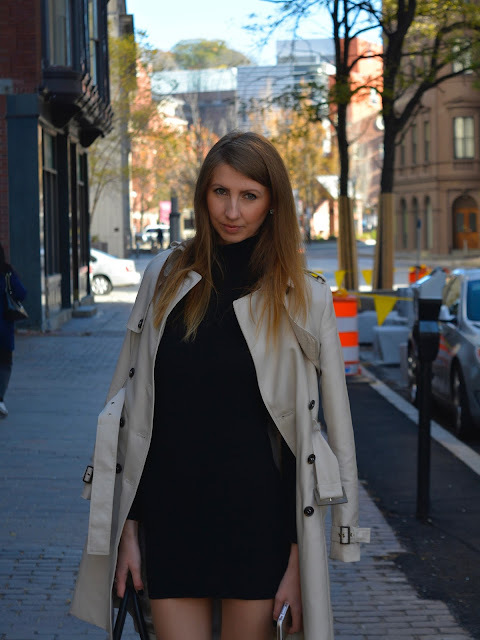 Do you own a trench coat?